We’ll get to work right away fighting your cancer with everything we’ve got. At New England Cancer Specialists, you’ll have access to Maine’s finest cancer doctors, and just about every cancer-fighting treatment known today. Your physician will take the time to customize a treatment plan for your particular physical and emotional needs...monitor your progress...and quickly adapt to ensure the best possible outcome for you. But time is of the essence. Experience shows that the sooner we can begin treating your cancer, the better your outcome is likely to be. 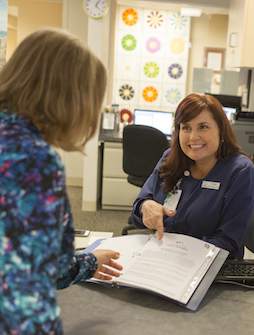 Each of our teams is led by an Oncologist specializing in your particular disease, with an oncology nurse and nurse practitioner or physician assistant making sure your information is always up-to-date, and your every request is met. This team approach ensures that there is always someone on call who is well-versed in your case. When you, your doctor or a loved one first contacts us, we’ll discuss which team is best suited to your particular needs. Choose from three convenient locations. You’ll find all the resources you need at any of our three offices. Use the map below to find the one closest to you. Physicians: New patient referrals can be faxed to (207) 303-3234. All three offices are open every day, including weekends, and staff are on call after hours for any urgent needs that may come up—24/7/365. There’s plenty of parking at all locations. Stress about payment is the last thing a cancer patient needs, so we strive to resolve all financial concerns before your treatment begins. 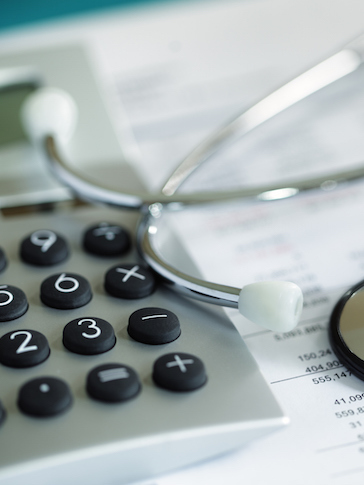 If you’re concerned about the cost of treatment, your Patient Care Coordinator will make an appointment for you with one of our financial advocates. It is the advocate’s job to review your insurance plan and explain what is or is not covered. If there are any anticipated issues, the advocate will then work for you to find assistance in the forms of free drugs, foundation grants, transportation problems, even child care or elder care help. You should be able to leave your first appointment with a clear understanding of where you need to be to successfully complete your cancer treatment journey. If there’s time before your first appointment, we’ll mail you a registration form, an intake form and a family medical history. Otherwise, you can find them below. Please complete each form and bring them with you for the first visit. For medical records release, please select the form for the NECS office where you will be seen. We also take your privacy seriously. You can review our privacy notice here. Sign up for our e-newsletter to stay up-to-date with the latest announcements and news and from NECS.